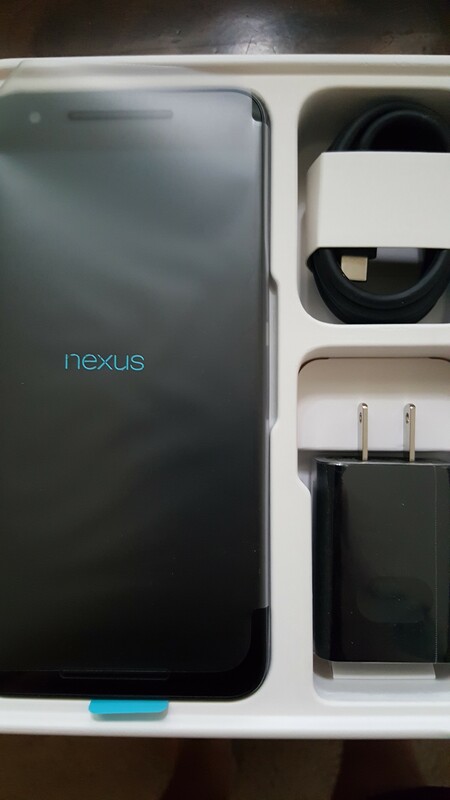 The Nexus 6P is a product of the perfect marriage between a relatively unknown Chinese company, Huawei, and a well known company, Google. Before this year, very few people in the U.S. knew of Huawei as a consumer product company, but they have been a leader in the communications industry since the 80’s. In 2014, Huawei generated a record profit of $5.5 by becoming one of the world’s leading smartphone manufacturers among many other consumer products. Google and Huawei partnered to bring us the most “premium” Nexus in the 6P. The Nexus 6P has been my daily driver, on the AT&T network for the last two months, and has genuinely made me a fan of stock Android and Huawei. The Nexus 6P is a device designed and built to impress: it is a representation of how much pride, research, and countless hours went into making one of the best smartphones ever. Let’s take a look. 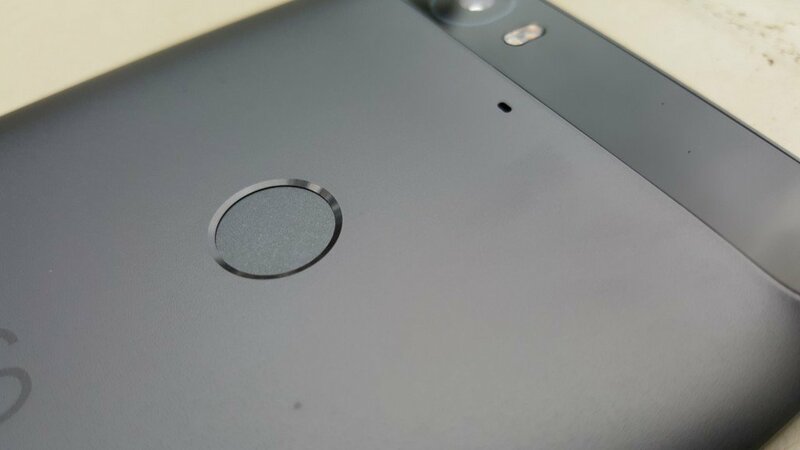 Without question the Huawei made Nexus 6P is a device that stands apart from the crowd. It’s really difficult to stand above a crowded market of great looking devices, but the 6P manages with its clean lines, all metal build, premium colors, chamfered edges and perfect size. 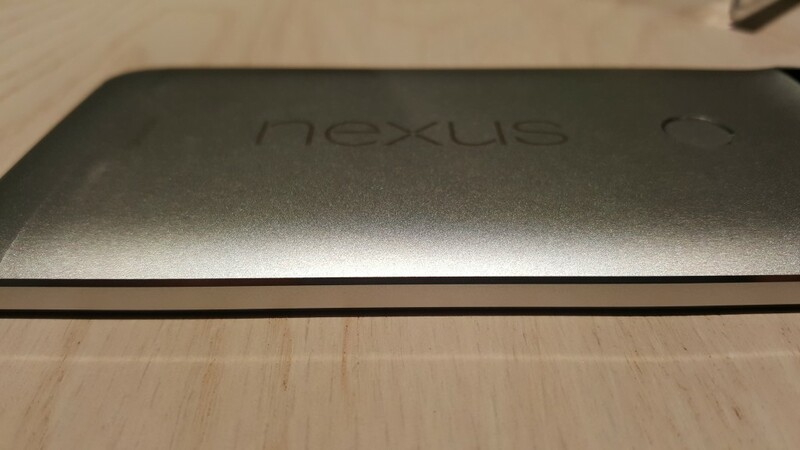 The Nexus 6P is a sturdy all metal phone, and comes in three colors: Aluminum, Frost(white) and Graphite. 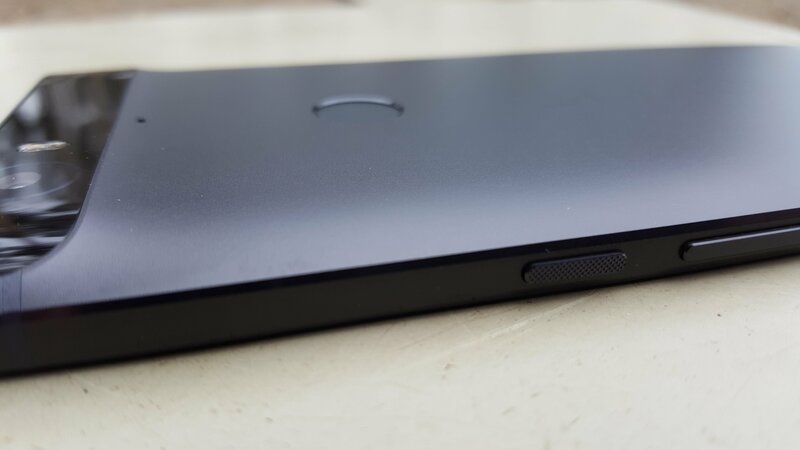 There is a circular fingerprint reader on the back, a power button with a volume rocker on the right side of the phone, a 3.5mm audio jack up top, with dual speakers on the front. On the back of the device is a glass strip near the top which houses the flash and camera. 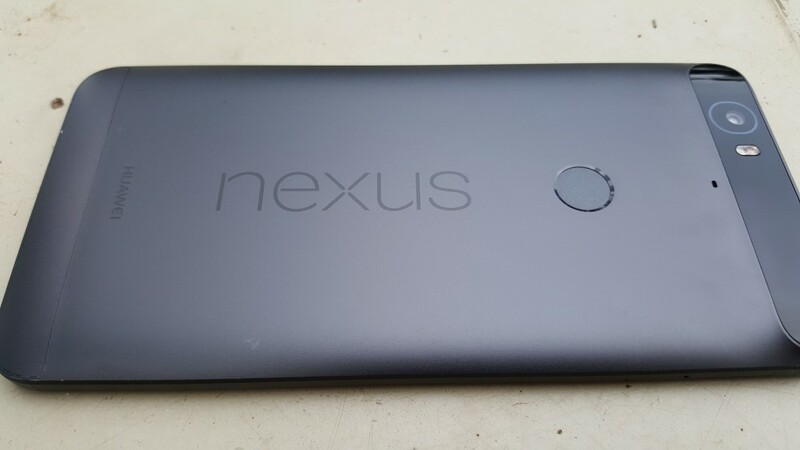 Some may think it looks out of place, but on my Graphite colored 6P I don’t even notice it. 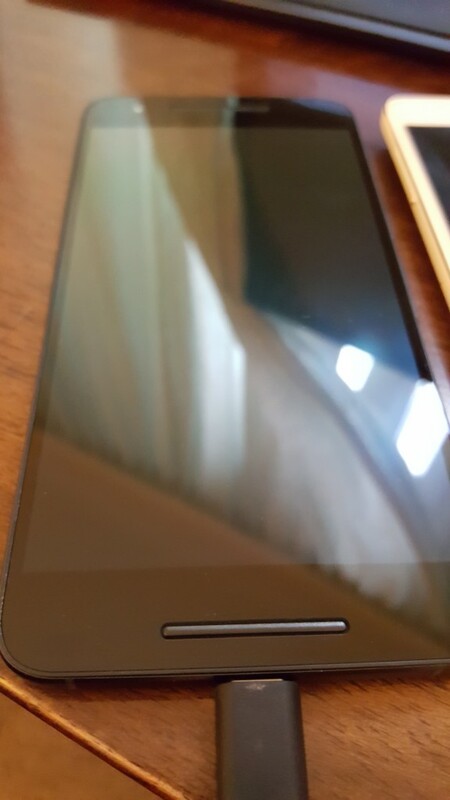 After two months of daily usage without a case, my 6P is scratch free and looks the same as the day I got it. 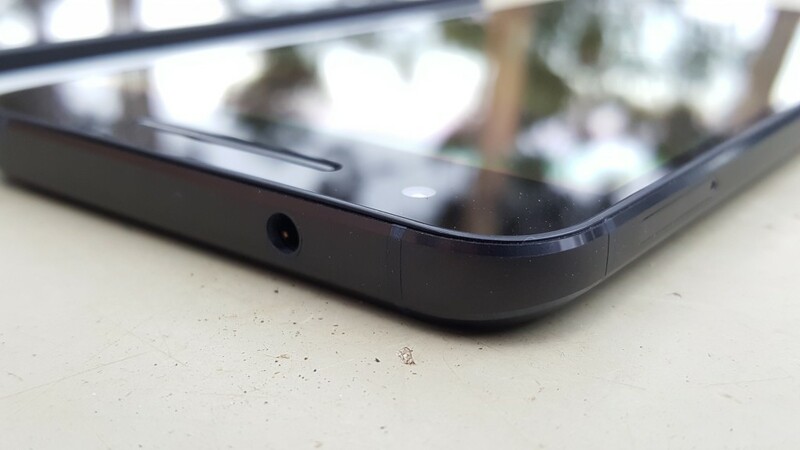 The chamfered edges hold up well and do not chip or scratch like some devices with similar edges have been known to do. The all metal build is a nice change from the Samsung Galaxy Note5 which has a glass back. That glass back looks nice, but is a fingerprint magnet and also feels extremely fragile. The Nexus 6P is extremely well balanced, which is very important for a device with a 5.7″ display and using it one-handed. I’m sure many of you Android fans have heard Apple loyalists say the iPhone “just works.” It is one of the most annoying statements that Apple fanboys can possibly say, because there’s an implication that all other software does not work. And as much as I hate to admit it, there is a little bit of truth to “it just works”, even though iOS has its fair share of issues. With all of the freedom Google allows manufacturers, many companies like Samsung and LG have completely changed what Google intended with Android. By doing so, Android sometimes gets a bad reputation as buggy and slow. The solution for some is to “root” which allows those users to install their own versions of software and fix those bugs, but voids the manufacturer warranty at the same time. And the vast majority of users will not root their devices as they simply do not know how. In addition to fragmentation, Samsung and LG also partner with companies like AT&T, T-Mobile and Verizon to add in their own software. My last count of AT&T pre-installed apps on my last Samsung Galaxy Note5 was an astounding 25, all of which could be deactivated but not deleted. Those apps took up an incredible 1.5GB of space, and when I paid for 32GB of internal memory, I should hope that I would have the freedom to delete AT&T’s junk ware. I know many of you already have been fans of stock Android, but for those of you who weren’t, now is the time to consider it. Android 6.0 Marshmallow is the best version of Android to date. Google has built in new features such as Doze, which is designed to improve battery life when your phone is not in use. It also brings built-in fingerprint reading for unlocking and waking your smartphone, while also being verification for Android Pay. With Android 6.0 there is far greater control in what you share with new permission controls. 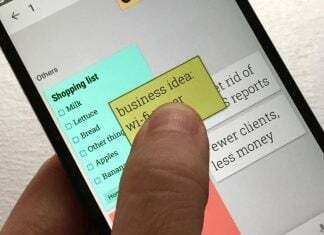 There’s deeper integration with Google Now ,and Android is there to help you search phrases and words with much greater ease. Better yet, there is no carrier bloatware. 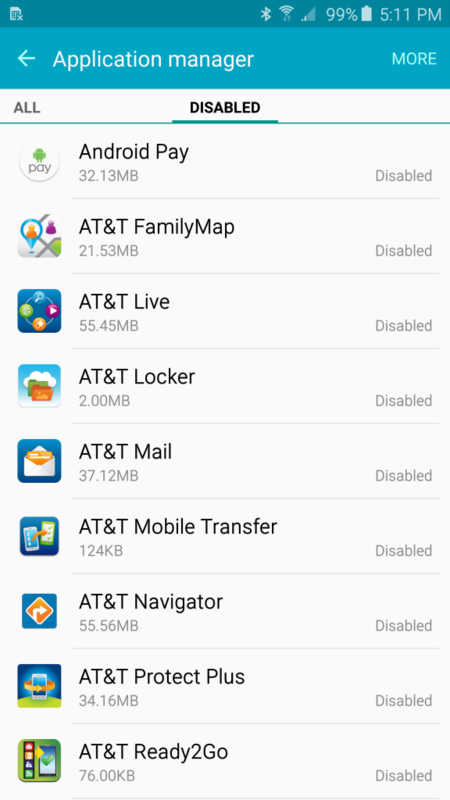 While one, two, or even five apps aren’t bad to come pre-installed from AT&T, I cannot condone AT&T’s behavior with its incredible amount of bloatware they install on its devices. Not only do they waste space, but they frequently ask for updates, and I simply do not want them. Seriously, how many people actually use the Yellow Pages app that AT&T installs on every device? With stock Android, you have the basic apps that Google provides you with and nothing more. Google gives you the freedom to install whatever apps your heart desires. And most importantly, when Google does release an update, Nexus devices are the first to receive them and that will keep them up to date. I never truly appreciated how important updates were until I was stuck on Android 5.0, and dealing with all of its awful bugs on my Samsung Galaxy Note Edge. I truly felt ripped off by Samsung for charging me over $900 dollars and then making me wait six months to get simple bug fixes. Pure Android 6.0 just works and it works well. After two solid months, I have yet to experience a slow down, random closing app or any other common software issues. The Nexus 6P comes with one of the largest batteries available in a mainstream U.S. smartphone at 3450mAh. Phones of a very similar size, the Samsung Galaxy Note5, Moto X Pure and LG V10 all come with a 3000mAh battery, over 10% smaller. After two months, those devices have still yet to update to Android 6.0 which has the Doze feature that dramatically improves battery life. “If a user leaves a device unplugged and stationary for a period of time, with the screen off, the device enters Doze mode. In Doze mode, the system attempts to conserve battery by restricting apps’ access to network and CPU-intensive services. It also prevents apps from accessing the network and defers their jobs, syncs, and standard alarms. In day to day terms, this means, the Nexus 6P has damn good battery life. You can imagine most of us phone enthusiasts push our smartphones pretty hard, and I am no exception. I frequently take pictures, take notes, text friends and family, message Androidguys colleagues, email, play games and listen to music. I will admit before Android 6.0 and the Nexus 6P, I plugged my phone in to charge whenever and wherever I could. There is no shortage of micro USB cables, and I hate having anxiety over low battery life. For a phone enthusiast, there are very few things worse than running out of power. Doze, app-standby and a 3450mAh, make this one of the best performing devices when it comes to battery life. I know without question that the Nexus 6P has the best battery of any phone I have used before, because I do not have a compatible charger at my work. My typical work day starts between 5-6am, and runs until 5-6pm. Once I get home, I immediately take my super cute dog to the park for an hour, and when I get home I exercise for 45-60 minutes before dinner. At no point in my day am I connected to a charger, because Huawei and Google decided to go with USB type-C, the latest standard in USB cables. 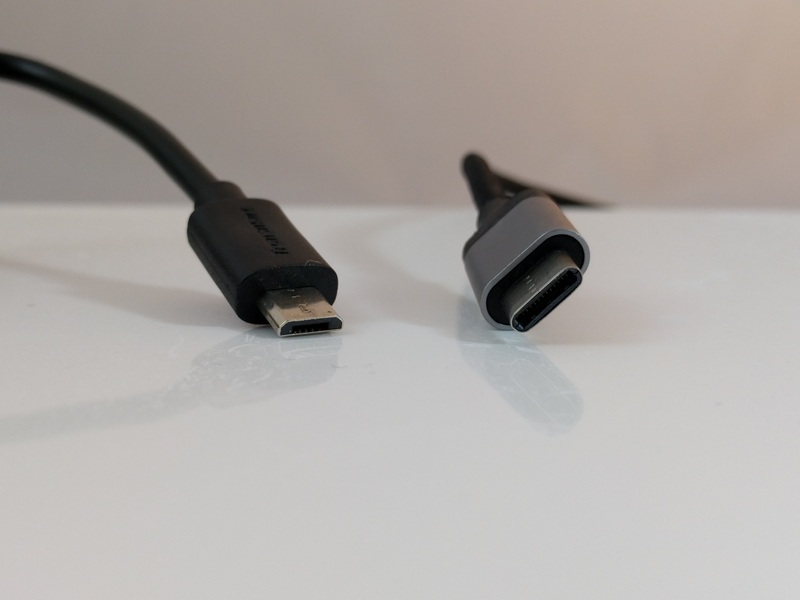 The main benefits of USB type-C are a completely reversible plug, and faster data rates. And I’m too cheap to buy more USB type-C cables for my office, so there literally is one place to charge my phone which is at home. At the end of my day, I am typically left with 40-50% power and that’s with heavy usage. I never charge my phone during the daytime. As much as I hate having a new USB standard, the trade-off is well worth it and I hope USB type-C does take over as the new standard. It is so much easier to not have to worry about making sure I plug the charging cable in the correct direction, and it still provides fast-charging capabilities. With a 3450mAh battery, Android 6.0 and USB type-C, the Nexus 6P is the next generation in battery life performance. I have been a huge fan of AMOLED displays ever since I started using Samsung phones. Active-Matrix Organic Light-Emitting Diode(AMOLED) differs from Liquid Crystal Displays (LCD) by how they light up the screen. 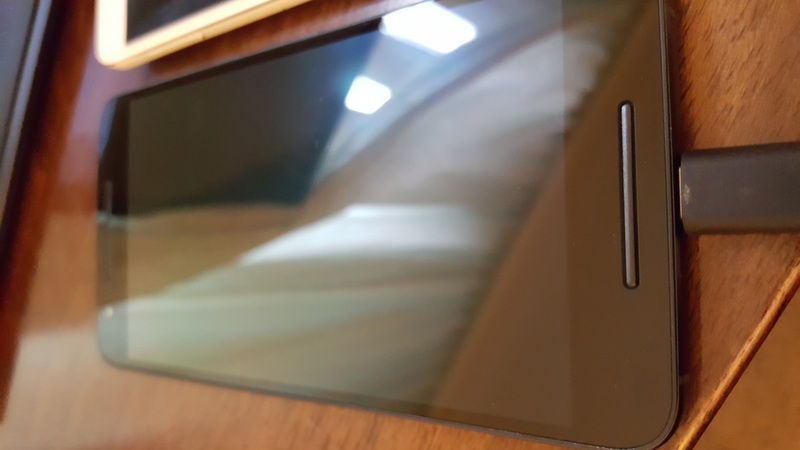 Many LG and Sony smartphones use LCD displays, which in my eyes, show back-light bleed and don’t show true blacks because of the nature of the back-light. AMOLED displays on the other hand offer super high-contrast ratios, as every pixel is controllable, and has saturated and rich colors. Some may prefer LCD due to better color representation, but I simply love AMOLED displays and that is the technology that the Nexus 6P uses for its display. 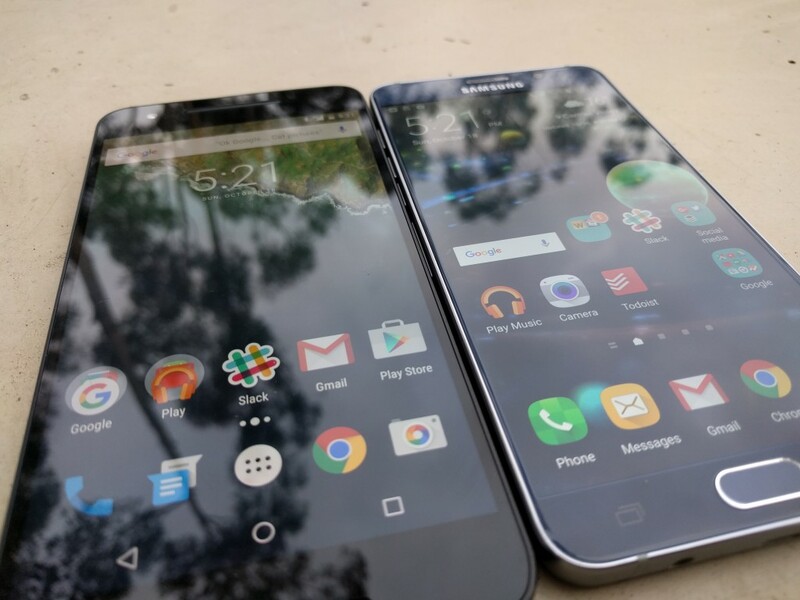 Both AMOLED displays on the Nexus 6P(left) and Note5 perform admirably in full day light. With a QHD resolution, 1440 x 2560 pixels, the Nexus 6P has a very clear and easy to read display. The only phones I have come across with a similar performing display are the Galaxy Note 4 and 5, Blackberry PRIV, and Galaxy S6 and variants. The Nexus 6P has one of the best performing displays on the market. 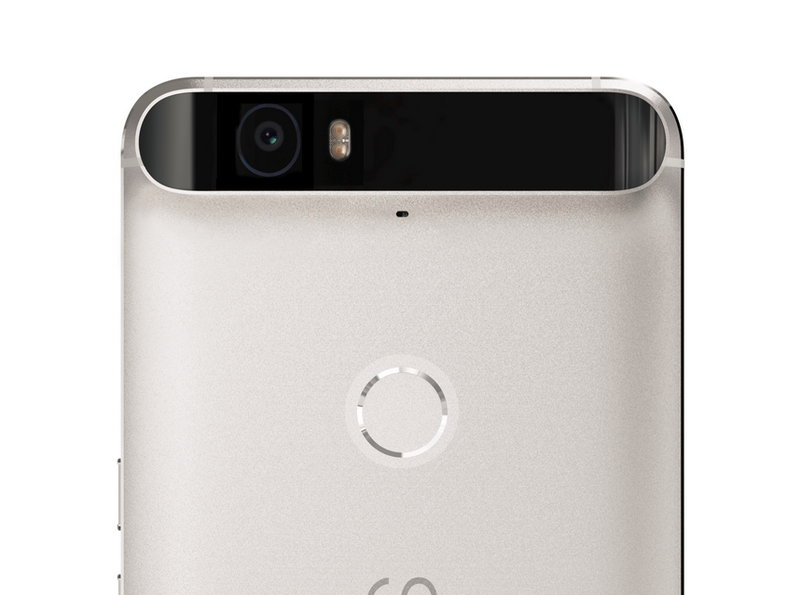 Powering the Nexus 6P is the Qualcomm Snapdragon 810 v2.1, 2.0 GHz octa-core 64-bit with 3GB of RAM. The first generation Snapdragon 810 was riddled with issues like over heating and throttling causing Samsung to go with their own Exynos octa-core processor for the first time in the U.S. Many feared the Nexus 6P would suffer from performance issues with the Snapdragon 810, but Qualcomm solved the issues in the v2.1 processor and my day to day experiences would prove that to be true. Benchmark tests are designed to test hardware and the latest Samsung processors usually win those tests by a long shot. The Nexus 6P won’t win first place in benchmark tests, but it will win in day to day usage as it does not stutter or have memory issues. On a perceived performance level, I have yet to use a faster phone. 3GB of RAM is more than enough memory when paired with stock Android 6.0 and the Snapdragon 810. Gaming, multitasking, photo editing, emailing, video watching was all smooth sailing with the Nexus 6P. 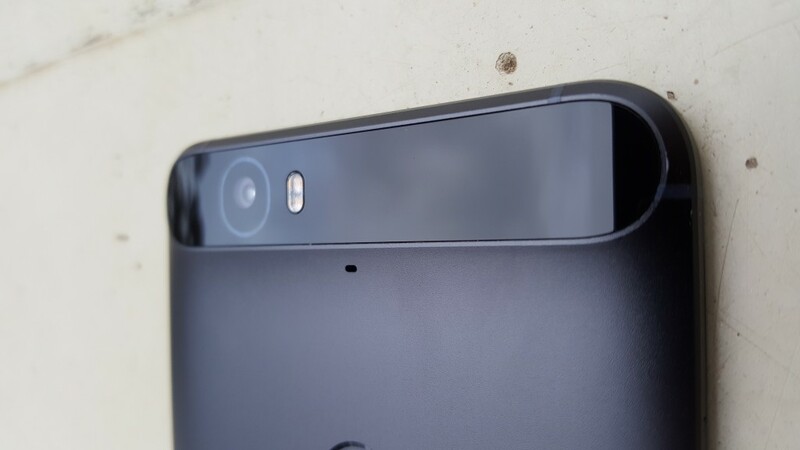 The Nexus 6P comes with a 12.3MP rear camera, f/2.o aperture, with IR laser-assisted auto-focus and an 8MP front facing camera. The pictures I took look great to me, but I will let you decide in the gallery I have listed below. As for the speed of the camera, it loads super quickly with a double-click of the power button and snaps pictures just as quickly. The Nexus Camera’s lens with f/2.0 aperture lets more light in and captures sharp images in stunning detail. For a camera in a smartphone, I am more than happy with it and desire nothing more. 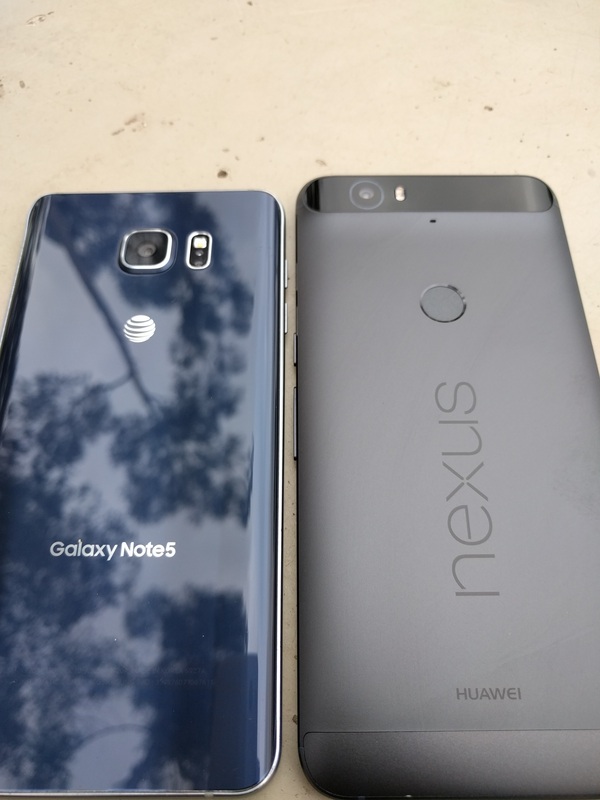 The Samsung Galaxy Note5 is still has the best camera, but the Nexus 6P is a close second. Decide for yourself if you like the camera in the pictures I have in the gallery. The new fingerprint reader is going to be something everyone uses going forward. Google developed “Nexus Imprint” as a way to unlock your phone, turn on your screen on and breeze through checkout lines using Android Pay. The Nexus 6P asks you to set up a fingerprint, you can do more than one, when you set-up the device. All you have to do is place the same finger on the fingerprint reader five or six times so it can accurately read your fingerprint without worrying about placement. The fingerprint reader is so easy to use, I don’t see anyone leaving their phones unlocked anymore. I was one of those users who hated to type in pass codes, and also hated Samsung’s fingerprint reader because of the failure rate. I always thought Apple did the fingerprint reading the best on its iPhone, but I can now proudly say that Google OWNS every other fingerprint reader on the market. One downside, after two months of usage I have seen an increase in the failure rate with the fingerprint reader. I attribute the failure rate in the fingerprint reader accumulating smudges and oil from my hands. When I clean the back of my phone with a damp cloth, performance improves, but this is something I hope Google and Huawei address in the future. The Nexus 6P comes with dual front-facing speakers which get loud. They are definitely clear at the highest volume, but do lack depth and bass if I were to judge it against the HTC One. If I were to judge it against the Nexus 6 or Note 5, I would choose the 6P in a blind test as the best performer every time. Speakers should not be on the back or bottom of a phone as it does not make sense to point sound away from your ears. 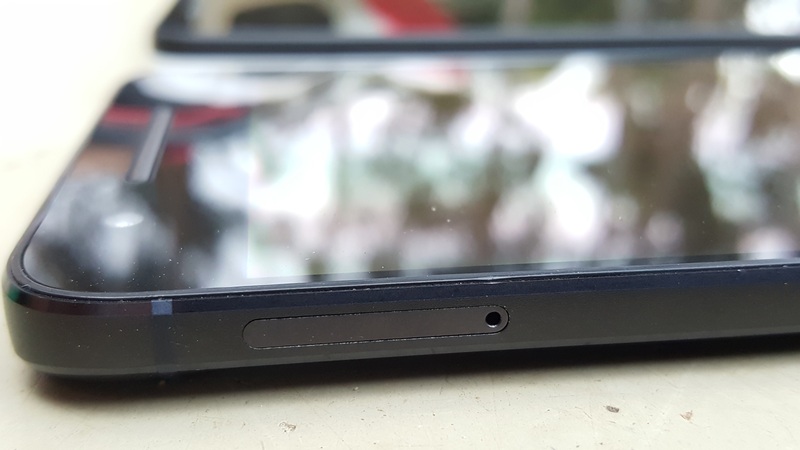 I wish all phone manufacturers would stop putting speakers on the bottom or rear of the phone and make it a general rule that they should be placed in the front. Having two speakers is always better than one as well. It may not be important to most, but dual-front facing speakers are a must have for me and the Nexus 6P delivers. I know choosing the best Android of 2015 is highly subjective and there are worthy contenders like the LG V10 and the Samsung Galaxy Note5. 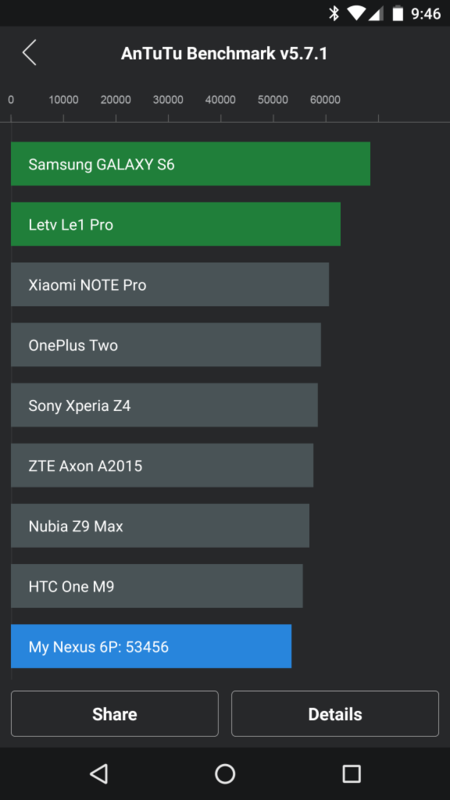 But I choose the Nexus 6P as the best phone of 2015 – it is cheaper than the Note 5 and V10, and is equal to or wins in almost every head to head category. Most importantly it wins in the software department with no carrier bloat and gets the first updates from Google. Thanks to Huawei and Google, I have become a true fan of stock Android and simply do not desire to change to another smartphone which is a first for me. The Nexus 6P truly is premium and is a product that both should be tremendously proud of. Both companies should take a bow and we all should stand and applaud this device. With superior software, gorgeous and durable build, a super high resolution display, fantastic camera, a new fingerprint reader, dual-front facing speakers and incredible battery life, the Nexus 6P leaves no detail behind. The Nexus 6P has set the bar for all other Android devices. I highly recommend the Nexus 6P. Buy the Nexus 6P at the Google Play Store.